In Old English, one meaning of the word “understand” is “to stand among”– to engage in an action of connection. 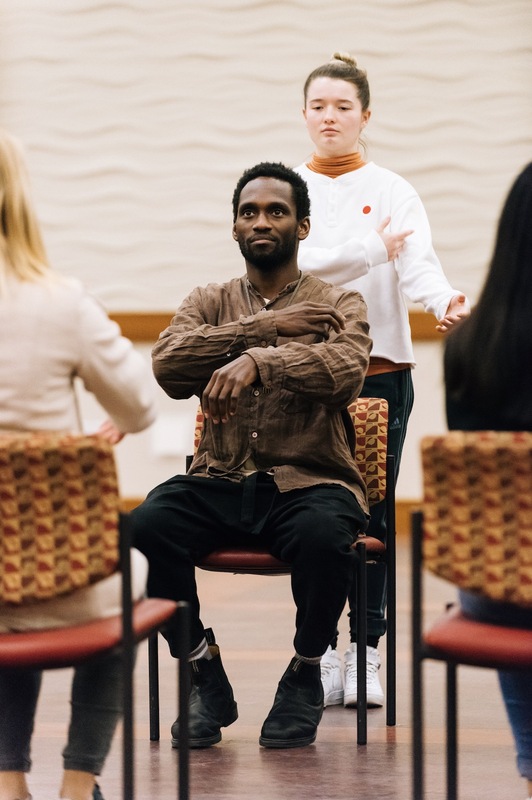 UNDER | STAND is a public dialogue project, where participants from diverse backgrounds engage in a collective “physical interview” process where the body– the ground of bias in racist systems– emerges as a ground of connection and communication. 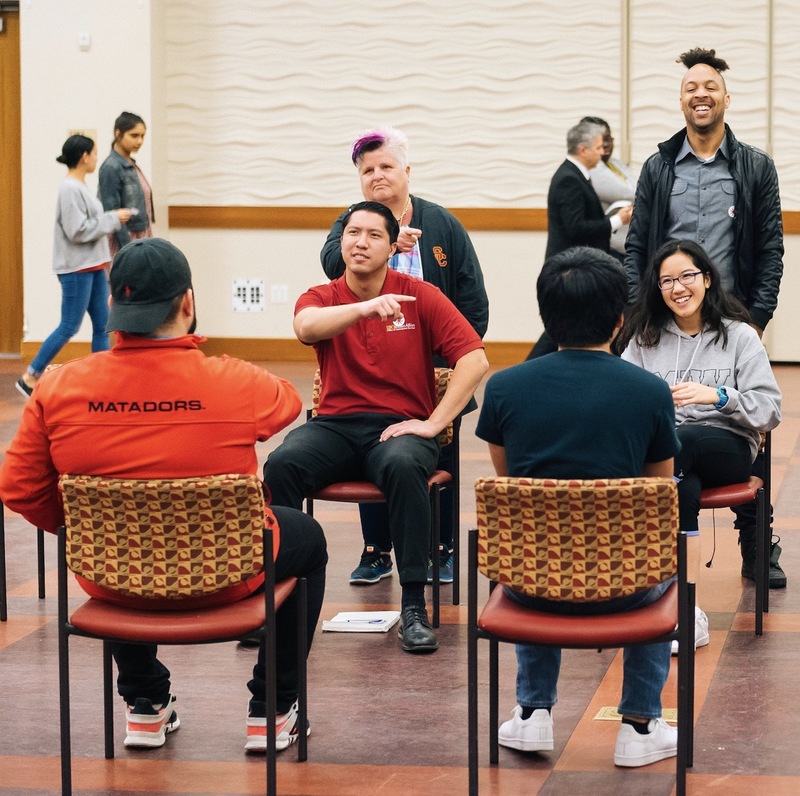 Using simple physical actions, such as walking, tapping, and gesturing, participants create a compelling physical map of their lived experience as individuals and community members. Moving through stations of conversation–physical and spoken– they respond to questions from their own point of view and the viewpoint offered by others. 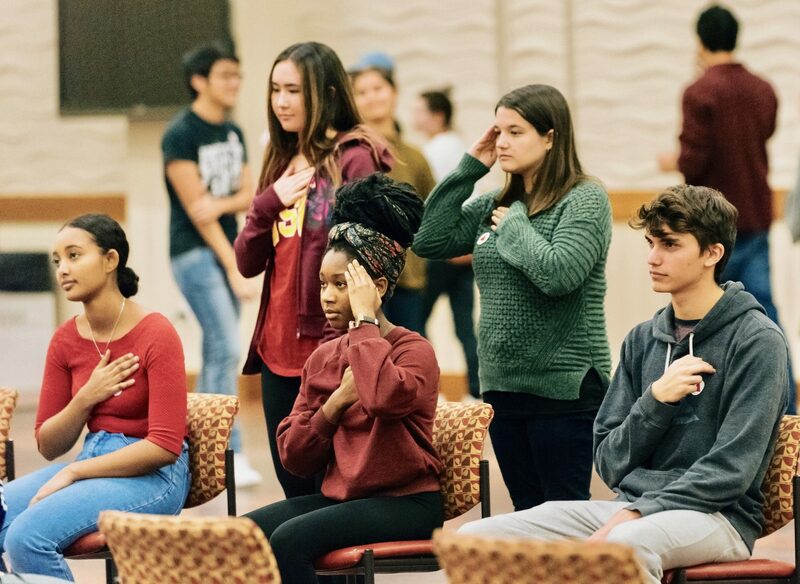 Engaging with voice and action, participants see, hear and offer multiple perspectives simultaneously, allowing the complexities of social experience to find an appropriately rich strength of expression. April 27th, 2018: Smith College, Davis Ballroom, 12 Prospect street, Northampton, Massachusetts. June 3rd and 4th, 2018 Uferstudios, Berlin, Germany. UNDER | STAND is an ongoing project, please be in touch if you would like to bring UNDER | STAND to your school or community! The project was developed and is being shaped by the time, ideas and actions of many people and communities. 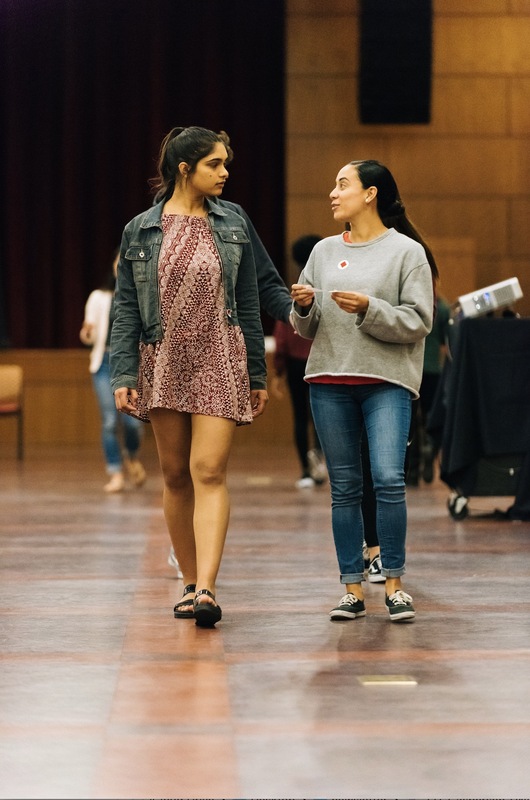 Special thanks to Reshma Anwar, Robin Aren, Mikaela Brandon, Delaine Dobbs, Francesca Harper, Emily Hart, Tasha Hess-Neustadt, Sam Kaltenhaler and Maya Miller for their work on the development of UNDER | STAND, and to many others who offered their thoughts and experience. Thank you to New York University’s Center for Ballet and Arts for their generous support of the project. To book an action dialogue or create an action dialogue process in your community, please be in touch here.